Do you ever feel like really simple, little things can be totally life changing? Maybe the day before you didn’t know it existed, or at least, you didn’t care that it did, and you can’t believe how unenlightened you were? That’s how I felt about Buffy the Vampire Slayer, David Bowie’s “The Prettiest Star,” and kale. 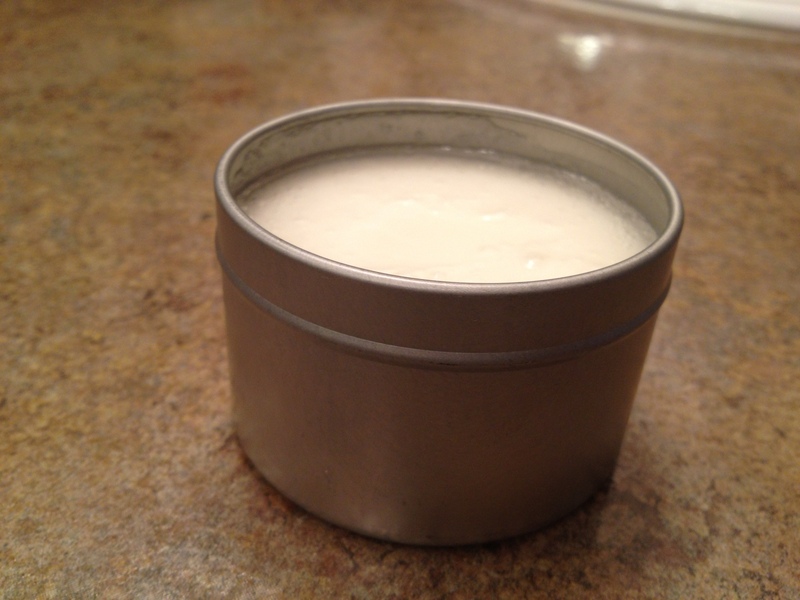 And now… the beautiful knowledge that I can make my own earth-friendly, aluminum free deodorant without smelling like that kind of hippie. I made this super easy recipe from Crunchy Betty (heart her) and have been.. um.. testing it.. for the past several days. True, it’s been chilly and rainy here, and not exactly sweltering, sweaty weather for a hard-core smell test. But I can at least confidently say that this stuff works – smell and dryness- for normal day-to-day, spring weather with a sprinkling of cardio and yoga sessions. It is so easy. You just mix the following ingredients together, and pour into a container. The verdict: Everyone’s different in this department, but I am sold. Yes, you have to use your fingers for this instead of a stick you can just swipe on, but that doesn’t matter to me at all. Coconut oil begins to melt at room temp, so the consistency of this stuff will vary based on the temps in your bathroom. It’s going to last forEVER, because you only need a tiny amount. The smell is so lovely without the essential oils, so you could skip them, but I just really like to use them. And it’s really moisturizing, so no itchiness, but the baking soda and cornstarch keeps away the sweat. The comments on the blog and in Crunchy Betty’s post led me to expect a period of adjustment while my body got used to gentler ingredients, but there was no adjustment for me. Perhaps that is because I’ve been using Alba brand for a while, which doesn’t contain the really harsh stuff found in Secret and other commercial brands. This, however, is better than Alba (or Tom’s) because while those didn’t make me stink, they didn’t keep me as dry. Would you dare to give this a try? Previous Previous post: make your own salad bar!